We are proud 4th generation home builders. Knowledge, workmanship, honesty, and strong work ethic have been passed on to us. We strive to be the best custom home builder in town by listening to your wants and needs. This starts at our introduction and continues indefinitely by encouraging feedback long after the sale. With your input we can build better custom homes. Providing an efficient warranty process, we consistently rank as the top first or second builder out of roughly 40 builders represented by ProHomes of Nebraska for the fewest number of outstanding items at the preclose, 30 days, and 11 month walk through. Custom home builder Ramm Construction was founded in 1993 and today enjoys a healthy reputation based on honest work done swiftly and to the complete satisfaction of the home buyer. Jerry and Ted are personally involved in the construction of every home. Knowing an involved builder means a better built home, the Ramms’ take a hands-on approach to each home. Jerry oversees all the on-site operations. Ted is your start to finish contact that will stay involved with you from the sale, all the way through to closing and beyond. 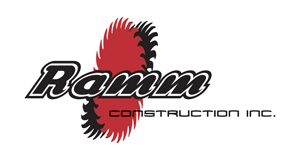 With Ramm Construction you can be confident you have put the dreams of your family in the hands of people who care. Your home is in the hands of Ted and Jerry Ramm . We are an established custom home builder in the Elkhorn, Omaha, Millard and Bennington area with a lifetime of experience. We will be here now and long into the future. Ramm Construction is the culmination of more than four generations of home building experience. The Ramm family has been involved in the building industry dating into the 1800’s. Passing the kind of knowledge only experience can bring from one generation to the next, the Ramm family has made home construction their family legacy. A legacy of integrity and skill… and it all began in America with Joseph Ramm. Born in 1865 in Germany, Joseph sharpened his skills as a carpenter after moving to Omaha in 1905. His dedication to quality and a job well done was infectious. It wasn’t long before his son Al was in the business, and Al, like his father, worked hard to give his clients exemplary service at every turn. Passing on that ‘customer service’ mentality to his son Thomas led to the start of a third construction business under the Ramm name. Tom Ramm Home Building & Remodeling was as committed to quality workmanship done in a timely fashion as his predecessors and the result was a thriving business. 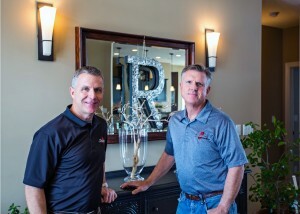 Trained by the best, Jerry and Ted Ramm set out with great expectation and invaluable industry knowledge to start their own business: Ramm Construction, Inc.
We are so happy with our new home! Thank you for doing such a fantastic job- we are very impressed with the quality and care that you guys put into your homes. We have been asked a lot how we liked working with you guys and definitely want you to know that we pass the good word around! Thanks again for everything- it was a pleasure working with you.